From people who've managed to quit the habit. 1. Follow nail artists on Instagram or Youtube for inspiration. 2. It takes a long time to break a habit, so take things in stages. "I was a thumb sucker from infancy, and when my parents finally broke me of that at age 5, I immediately transferred over to nail biting. 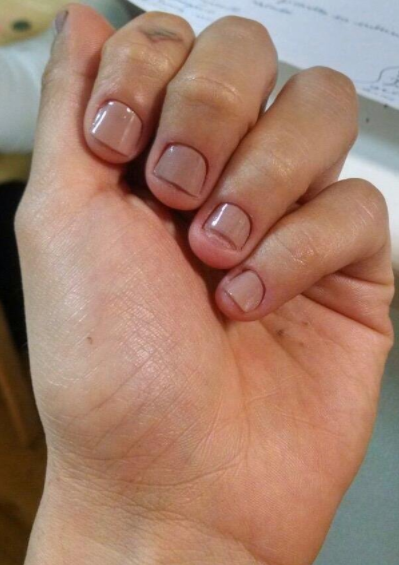 I would bite every nail down to the quick, so they would literally bleed on top from how short they were. 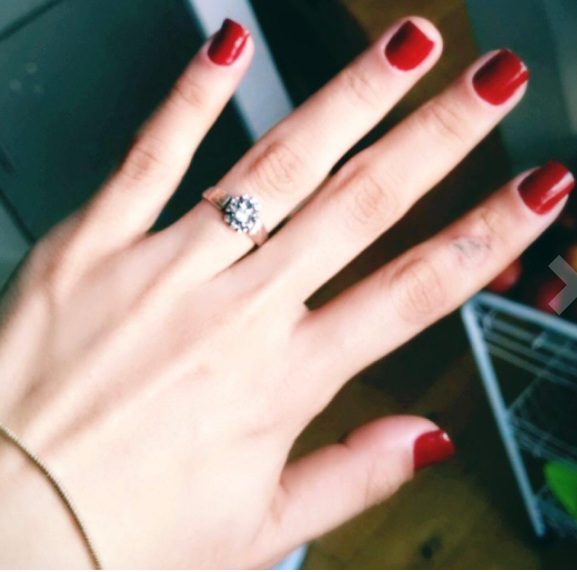 When I went to get acrylics for my wedding, my nail lady had a really hard time, because my nailbeds were sunken in because of how short they were. This is just to give you an idea of the severity of my habit, and the damage I did to myself. I managed to get the acrylics, with a lot of hard work from her. If I had acrylics on, I wouldn't bite, but when I could no longer afford them, then I was back to biting, and even worse than before, because of how thin/damaged the acrylics made them. My prompt for biting was the jagged edges, and they could never grow out, because every time they'd start, there'd be an edge I could feel, and zonk, there I would go. 3. Use cheap press-on nails to help your nail heal and grow. 4. Use a yucky-tasting treatment like Mavala Stop. 5. Or invest in a long-lasting manicure. 6. Find a combination of methods that works for you. 7. Use the impulse to bite as a chance to take care of your nails instead. 8. Buy yourself a just-because gift as positive reinforcement. 9. Try a mid-way method, like using a nail clipper or a file. 10. Try using a fidget toy to keep your hands busy. 11. Use something like thinking putty to fidget with. 12. Realise there's a reason you bite your nails, and take it easy on yourself. 1. Get to the root of why I bite. For me it was a nervous habit, I had a trauma as a young girl so I developed this bad habit to cope with anxiety. 2. Find alternate things to do / deterrents. I purchased a worry stone and a spinner ring and when I got nervous I'd either rub the stone or spin the ring instead of bite, I'd also chew gum (I still use the ring to this day) as an extra step I paid for a full set of acrylics, I literally cannot bite those, I kept them up for a few months until I felt confident I wouldn't bite if they were gone. 13. Try out a goal-tracking app like Habitica. 14. Stick something else in your mouth – like a lollipop. 15. Get a job where you get your hands dirty!